We provide the very best dog home boarding near you in the Warwick, Leamington and the Stratford upon Avon area. Dogs deserve a holiday too! Hi everyone, I’m Colette the proud owner of Barking Mad Warwick and Stratford upon Avon. Dedicated to providing a highly professional dog home boarding pet sitting service with local dog sitters. Barking Mad dog care operates in the Royal Leamington Spa, Warwick, Kenilworth, Stratford Upon Avon, Radford Semele, Whitnash, Cubbington, Offchurch, Long Marston, Wellesbourne and Moreton Morrell area. I love organising the perfect dog sitting holidays and am mad about all things doggie! Barking Mad Warwick provides home from home dog boarding with your cherished best friend and companion cared for in a dog loving home. Having got to know you and your dog my local dog hosts will be matched by me to suit your dog’s personality and needs. Your dog will become the centre of attention for the duration of their stay with the added benefit of keeping to the same routine they know and love. My duty is to ensure your peace of mind so that when you are away you can enjoy your holiday knowing that your dogs are enjoying theirs too. We will keep you updated on how your canine best friend is getting along in thier dog holiday home by text or email so you can relax and enjoy your break. It is often the simple things showing our high level of care that make the biggest difference to our customers. I am originally from Cork in the Republic of Ireland and as a young girl I grew up constantly surrounded by many different dogs, Heinz 57 dogs, Corgis, German Shepherds, Labradors, Irish Wolf Hounds, Retrievers and Spaniels. I moved to Warwickshire in 2007 and live in the village of Stockton with my partner Joe. Our beloved Labrador Bailey who was with us from 8 weeks old, passed away at the grand old age of 16 and our Retriever Lou Lou was a rescue dog who had severe emotional issues due to early traumas. We are currently puppy training our new addition to the family, our gorgeous 10 week old Cockapoo puppy Teddy. I therefore know from personal experience how important it is to leave your dog in the right hands with carers you trust to take care of all their needs and requirements. I also know how hard it is to relax when you’re not confident that your pet is having as good a time on holiday as you are, with Barking Mad you can rest assured that they are! Prior to taking over the franchise, I was a secondary school teacher in Warwickshire for eleven years and before this worked for international finance companies in London and Asia. 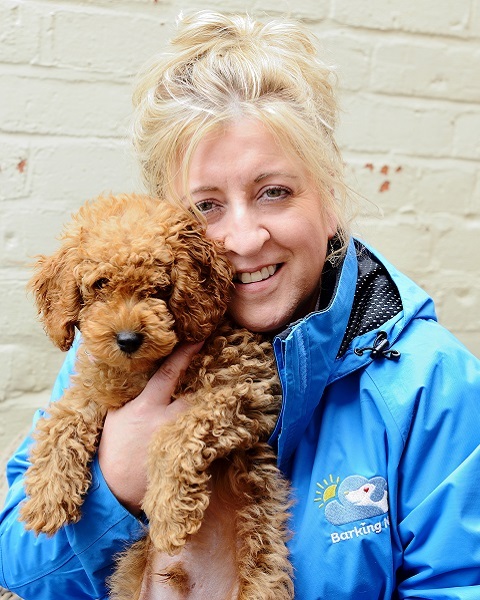 I bought the Barking Mad franchise for Warwick and Stratford as it offered me the ability to own my business with a network support, spend more time with my own dogs and working with dogs – a passion in my life, flexibility, challenge and the ability to work from home. Our hosts have joined Barking Mad for a variety of reasons. Some may have lost a dog at some time and just feel that they cannot commit fully to owning a dog of their own, many have a dog themselves who thrive on the company of other dogs. Some of our hosts are retired or work at home and love having a dog part time for companionship, walks and fun. Our dog sitting carers enjoy being part of a community which provides them with the opportunity to attend social events throughout the year. I am continually on the lookout for hosts to care for my customers’ dogs. If you are a dog lover and interested in providing loving home from home dog boarding, I would love to hear from you. If you’ve put off booking your dream holidays because you’ve been worried about finding suitable care for your dog, look no further Barking Mad is made for you! 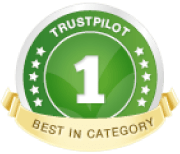 Relax knowing your dog is in our safe and capable hands – we have a five star rating from Trustpilot! I look forward to meeting and taking the very best care of your best friend! Contact me on 01926 800 570 / colette.crowley@barkingmad.uk.com to discuss your requirements, you know you’d be Barking Mad not too!